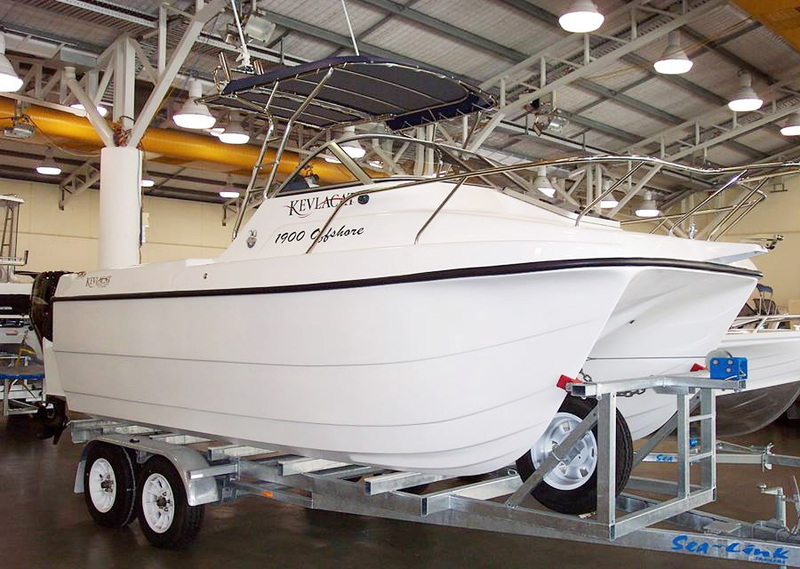 The NEW 1900 OFFSHORE is a re-launch of our earlier award winning 5.2 Metre Model. 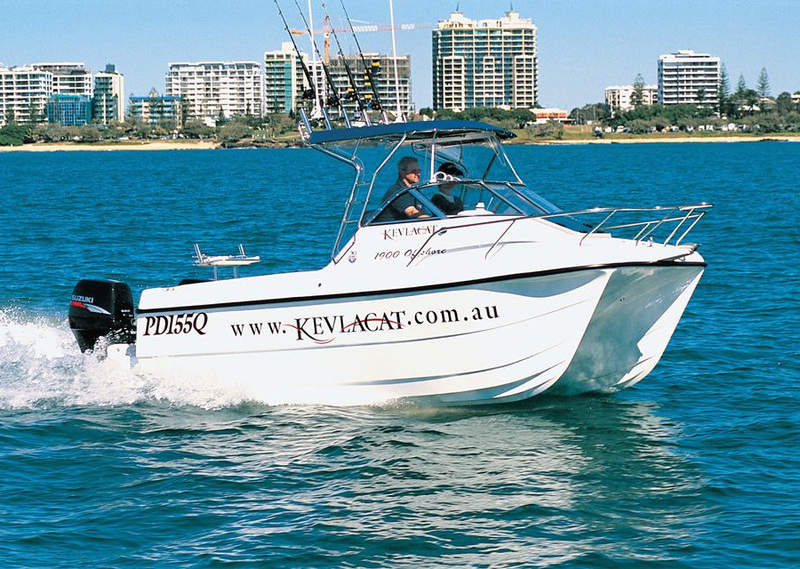 The perfect entry level Kevlacat, the new 5.2m is a little power boat with a big heart. Small enough to be trailed around the country yet big enough to tackle the toughest gamefish, the 5.2 Offshore is indeed a versatile platform. 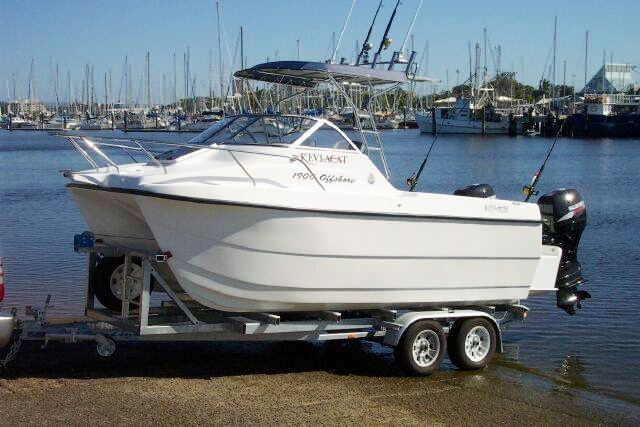 This model is fully moulded with GRP in the Hull, Liner and Deck, with modern powder coated aluminium engine pods. All under floor is fully sealed and flo-coated. 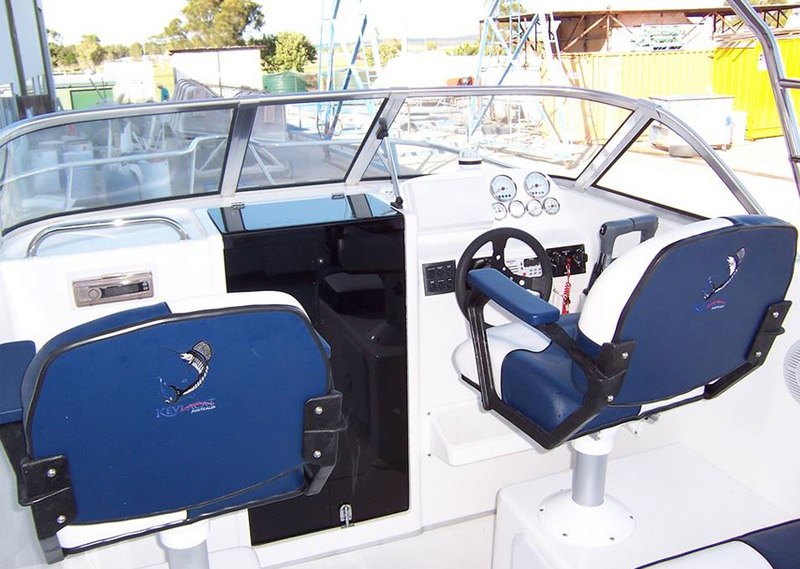 This vessel is extremely strong using our traditional Kevlar layup (Since 1984) using the highest quality polyester resins provides the owner with a long lasting investment with excellent re-sale value. 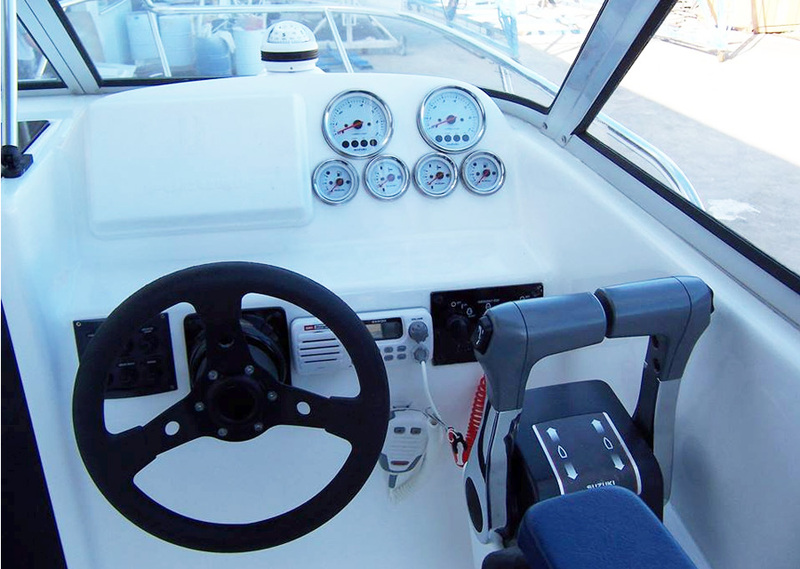 The 5.2 metre Series 1900 Offshore is a total package researched, tested and backed by KEVLACAT. 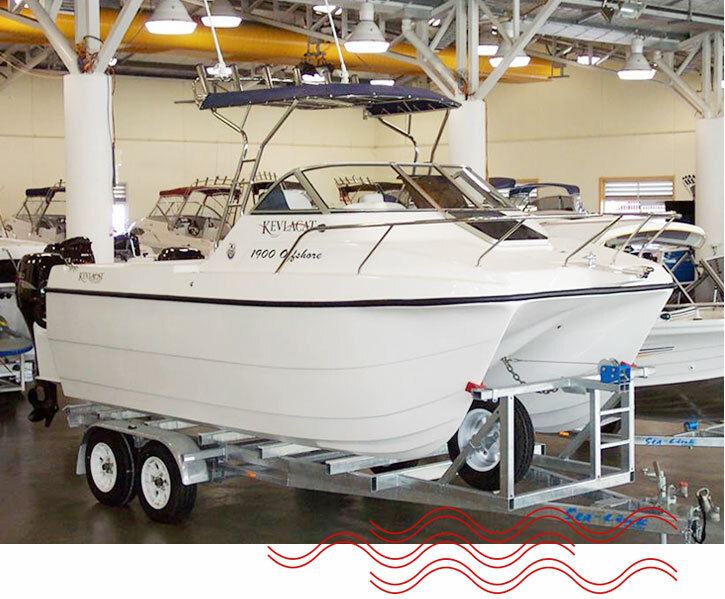 The comprehensive KEVLACAT factory warranty covers the hull for five years. 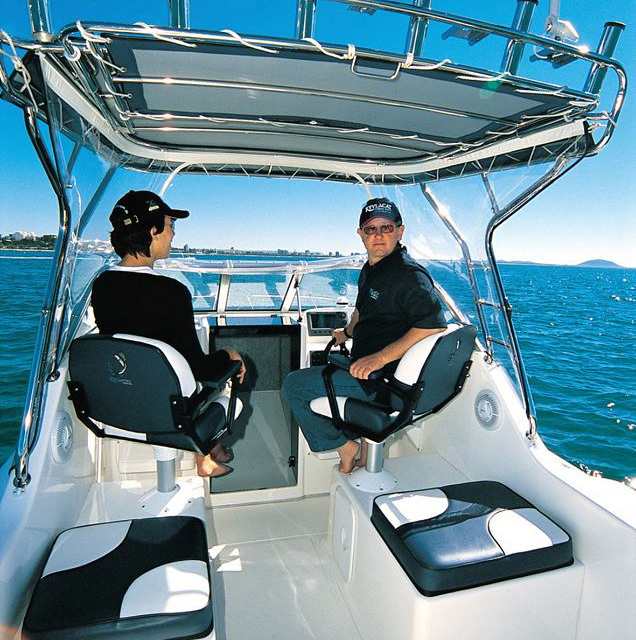 All electronics and engines are covered by a full manufacturer’s warranty.